Azure Striker GUNVOLT: STRIKER PACK brings the electrifying 2D side-scrolling action games Azure Striker GUNVOLT and Azure Striker GUNVOLT 2, which previously made their home on Nintendo 3DS, onto Nintendo Switch in one single package. In Azure Striker GUNVOLT, you take control of Gunvolt's high-speed mobility and repertoire of electrical attacks to make short work of your enemies. As an adept who possesses supernatural septimal powers, Gunvolt fights for the freedom of the nation from the tyrannical rule of the massive conglomerate known as the Sumeragi Group and the invasion of a super-powerful group of adepts known as Eden. Azure Striker Gunvolt's deep storyline plays out both during breaks in the action and in the thick of battle, too! Featuring a robust cast of characters that are fully-voiced in Japanese and over 25 vocal tracks performed by characters in the game, the world of Gunvolt provides excitement at every turn. The Nintendo Switch version also features a slew of upgrades from the Nintendo 3DS version, including a 60 FPS upgrade, upgraded UI, high-resolution event graphics, the entire DLC catalog from the Nintendo 3DS version pre-loaded into the game, a brand new vocal track from the character Lumen, AKA The Muse, HD rumble compatibility, and more! 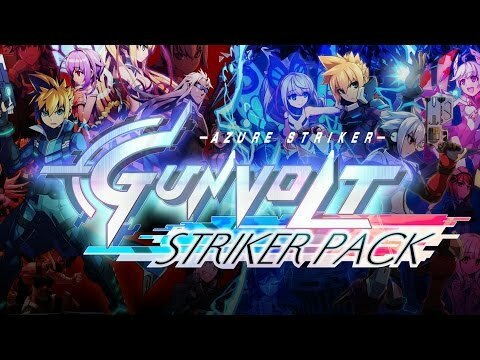 Even with the inflated price tag, Azure Striker Gunvolt: Striker Pack features two highly underrated games well worth playing which many have missed. 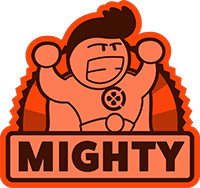 While it might be a bit a tough sell to those who have completed both games on the 3DS, to newcomers, it's a golden opportunity to check out the series which I've dubbed the unofficial spiritual successor of Megaman. 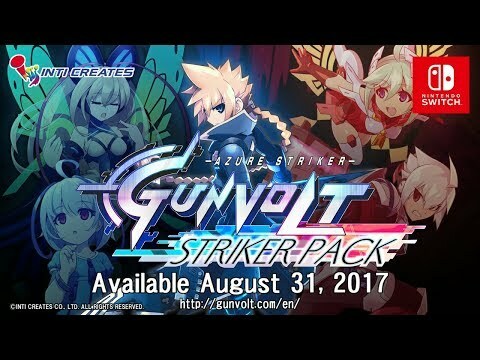 All told, we'd give Azure Striker Gunvolt: Striker Pack a strong recommendation to anyone who hasn't yet played these games. Although the two games can be picked up individually on the 3DS for a lower price, this still presents a good opportunity to try them both in a format that can be played on both a big screen or a portable. The two games stand high on their own merits and — when you consider additions like HD Rumble and DLC — they certainly justify the cost, but the porting job is a little sloppy; fans who have already played these out on the 3DS might want to think it over first before buying. If you haven't played them yet, then this is nevertheless the best way to go. With two comparable games from veteran action platformer developers, this dual pack is worth picking up even at full price. 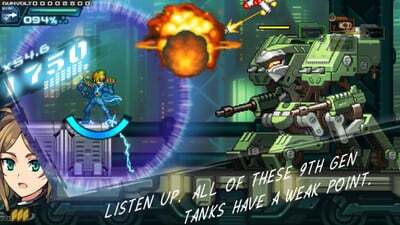 Despite its poorly told story, repetitive material grind, and wonky scoring system, Azure Striker Gunvolt: Striker Pack is a solid investment for fans of the 2D platformer genre. Gunvolt may not be Mega Man, but the series offers up much of the same charm and challenge that made Capcom's iconic franchise such a big hit. 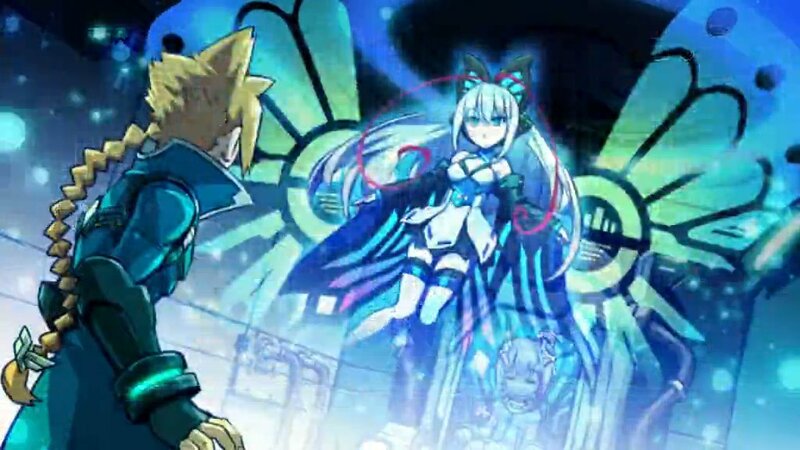 The pair of games doesn't quite hit the same highs as many of the Blue Bomber's greatest adventures, but Azure Striker Gunvolt: Striker Pack earns serious points for trying something new. Despite the wealth of platformers that have come to the Switch in recent weeks, Azure Striker Gunvolt: Striker Pack makes a compelling case for being an addition to your growing library.